This is actually my second out of the country travel in my whole life, Hong Kong being the first one. Well, for most of us, usually HK is the first country we visit as this is the most accessible country for us Pinoys. Also, if you follow my blog or read my blog since 2012, you would know that the pictures I had for that travel was lost, and gone with the wind forever. :( For the mean time, let's talk about our Ho Chi Minh City travel last May 7. :) Honestly, I didn't think I'll get to visit Vietnam any time soon as I always wanted to visit Singapore and Thailand first. But well, my mother said she wanted to visit Vietnam and Cambodia. So yes, it happened. We booked a flight to Vietnam and planned our itinerary carefully. 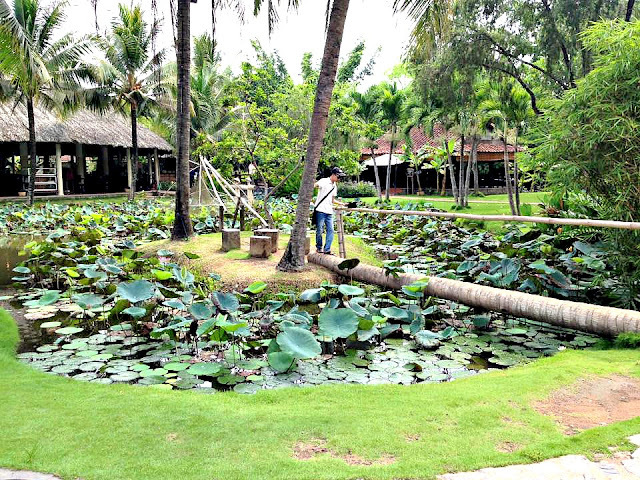 However, since we only have like 4 to 5 days in Vietnam, we cannot find more time to go to Cambodia. Kind of sayang. So plan B, we thought of going to Hanoi instead but to our surprise, travelling it by land is as long as travelling to Cambodia (maybe even longer). 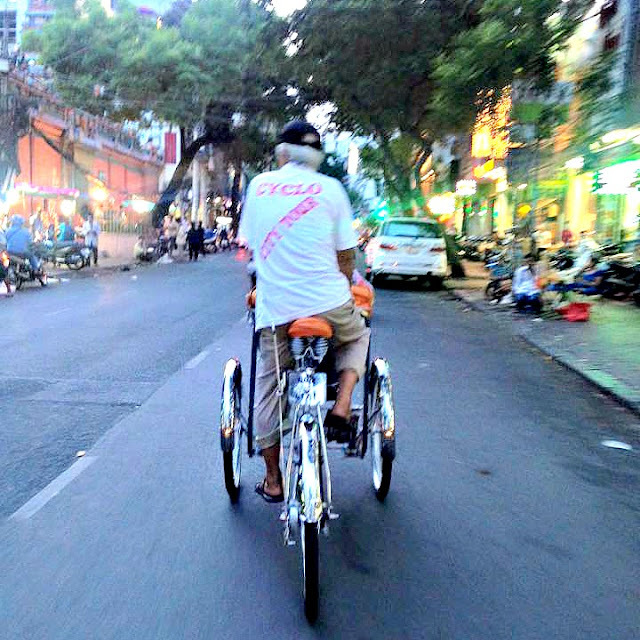 So we got no choice but to enjoy Ho Chi Minh City alone. It's kind of fun.. you know, the planning of activities, the hotels, your luggage, things you will bring with you. 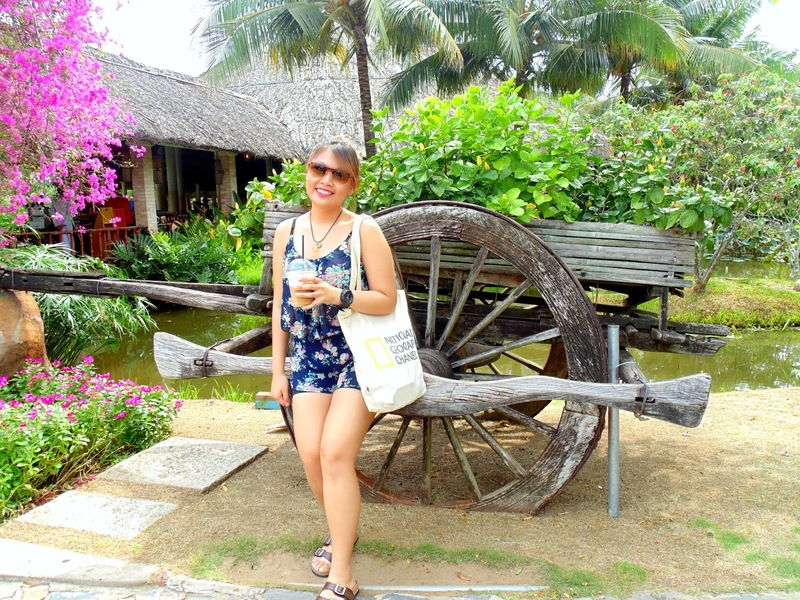 I'm the one who arranged our itinerary but we also avail the services of a travel agency. 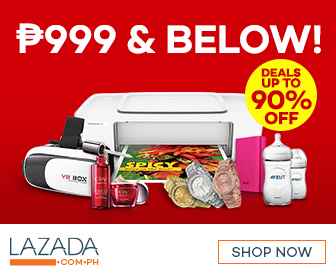 For this trip, I now appreciate the use and convenience of Agoda as we got huge, huge, discount when it comes to our hotel. And we weren't disappointed. It turned out good. 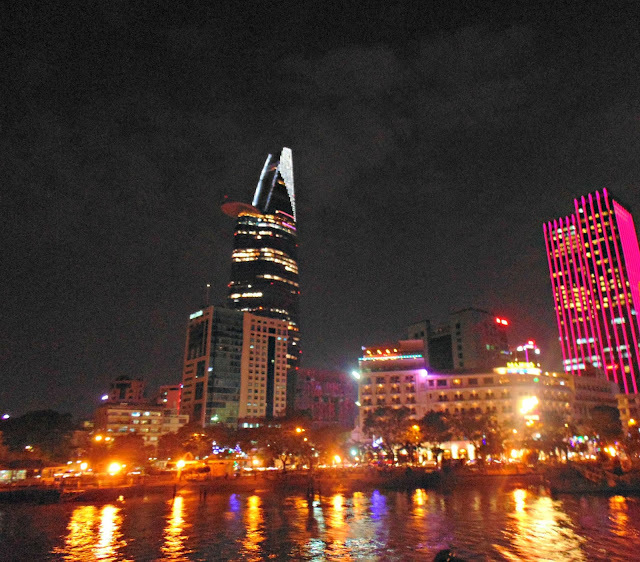 We arrived in HCMC at around 12:00am Vietnam time (Vietnam time is 1 hour behind from Philippine time). The hotel staff from the hotel we're going to stay in already told us to ride a Vinasun cab as other cabs are really expensive especially when you're from the airport. But due to some circumstances, we couldn't find a Vinasun cab so we opted to ride the ones parked in the airport vicinity. We're charged 350,000 VND (roughly 750.00 pesos) for a 10 minute ride which has no traffic. And I felt like we were ripped off! But since it's already late, and we're dead tired, we just payed the cab driver and went straight inside the hotel. 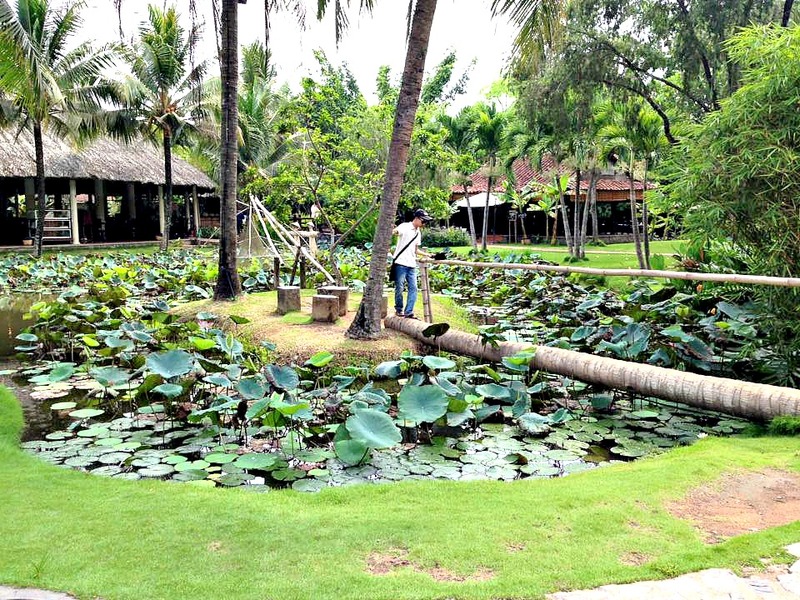 We stayed at Thanh Lien Hotel. 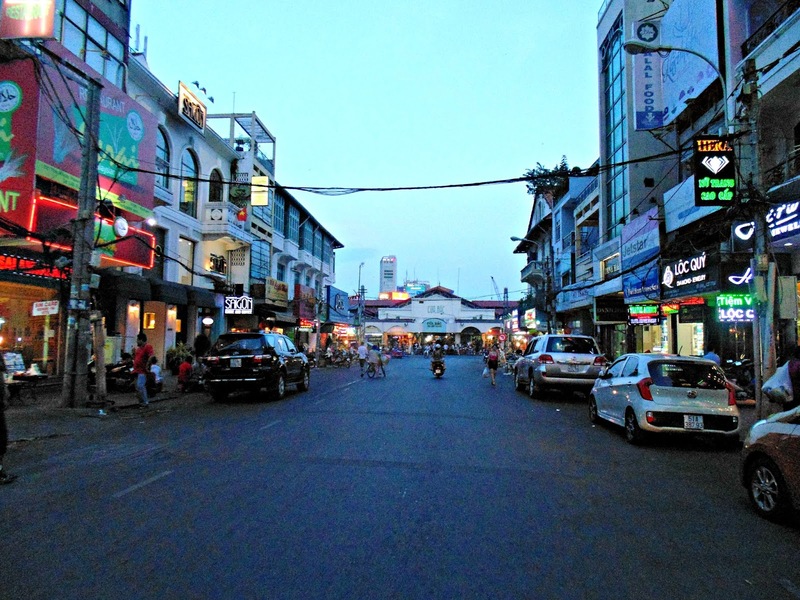 The hotel has a nice location as it is just a 5 minute walk away from Benh Than market and 10 minute walk to Saigon Square. Also, the hotel's okay. not very fancy but good enough for you to feel at home. We didn't booked a room to a posh hotel as we just wanted to maximize our budget in the tours we'll be availing. On our first day, we woke up around 6 am as our tour for the day will start at 8am. Breakfast buffet. 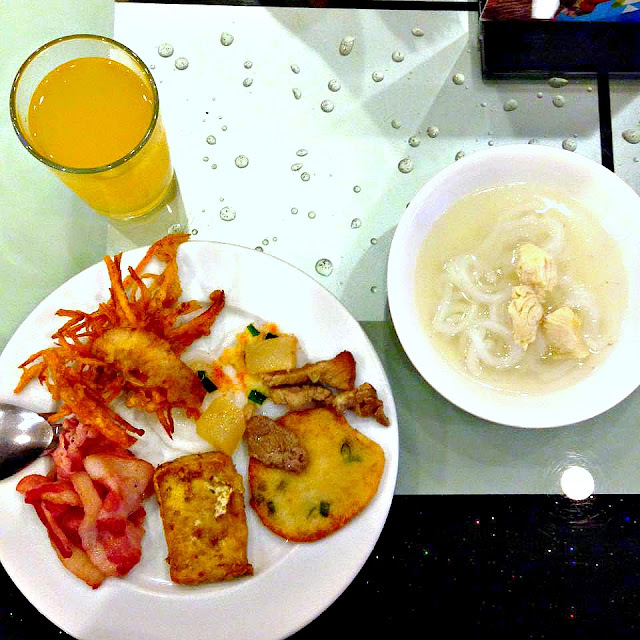 Our first meal in Vietnam made us fell in love with their healthy yet filling dishes. Most of their food have bean sprouts and mint. They always have fresh fruits scattered all around the city. My personal favorite is their fresh sugarcane juice that is being extracted right in front of you! 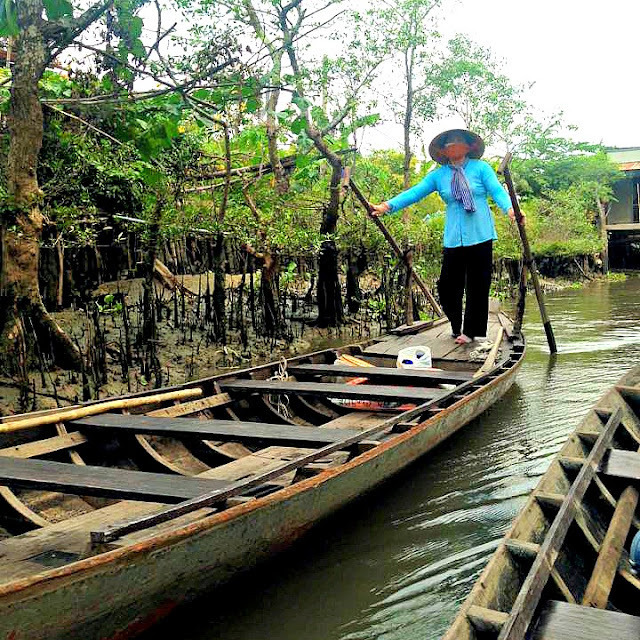 Our first day consists of a tour to Mekong Delta found at the Cai Be district. 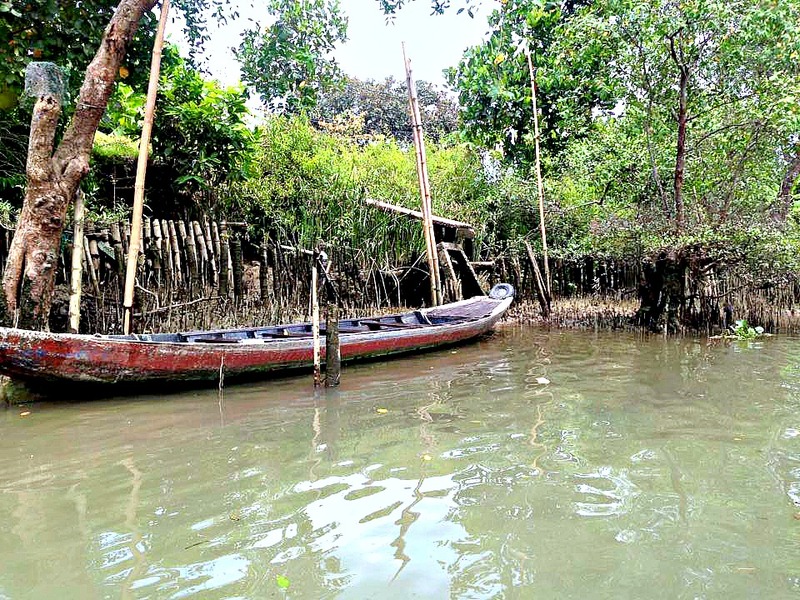 This is where you will most likely see their floating markets. But unlike other floating markets, this one is a little bit off.. We included this in our itinerary because we want to see how the locals do their thing but given that it is a floating market, I guess it's not a floating market for the tourists. This is specifically for the locals. Before going to the Mekong Delta, we had a 30 minute stop in Mekong bus stop. Mekong Delta at the Cai Be district. 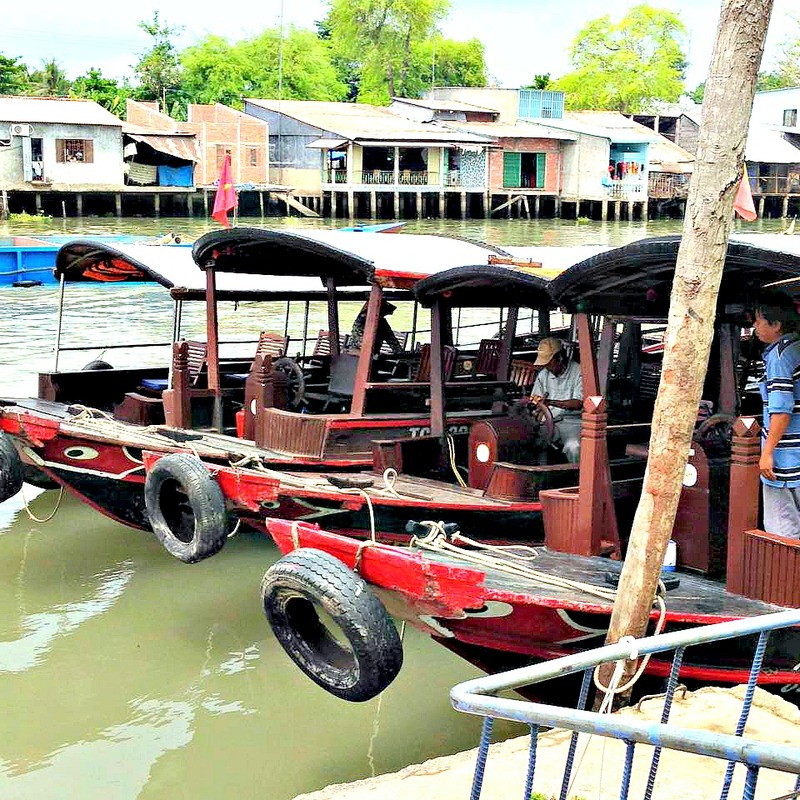 This is famous for their floating markets. 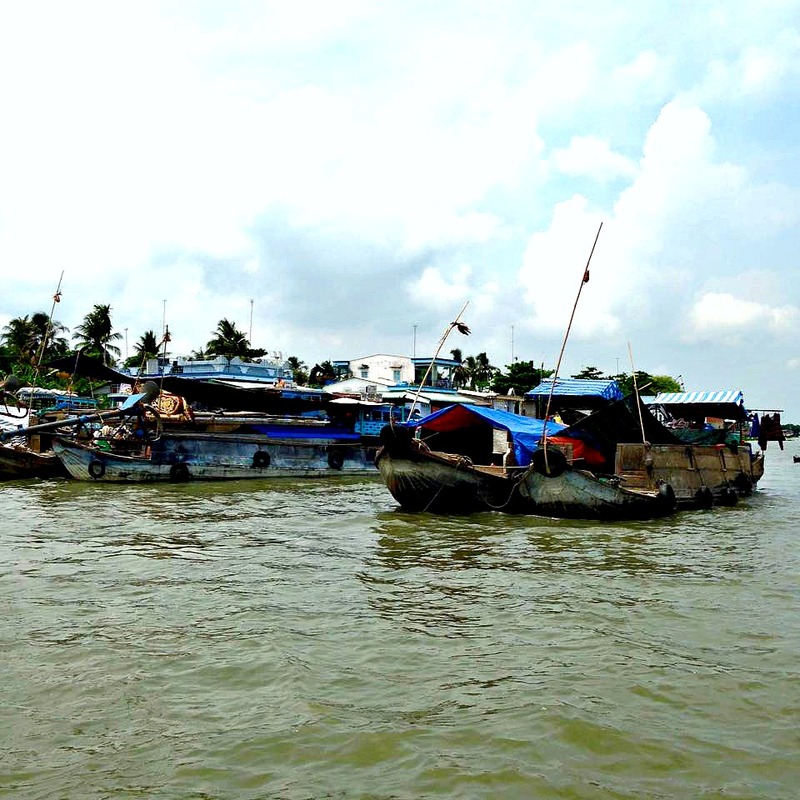 The boats you see in the picture are usually carrying with them fruits and/or vegetables that's being for sale. Most of the sellers here also made their boat their second home so when they're out in the river, they can also have their homes with them. That's coconut candy being prepared and packed. Coconut is a very common fruit for Vietnamese. After we've toured around the river, our tour guide led us to this shop where they sell different local Vietnamese products. From candies to alcohols. 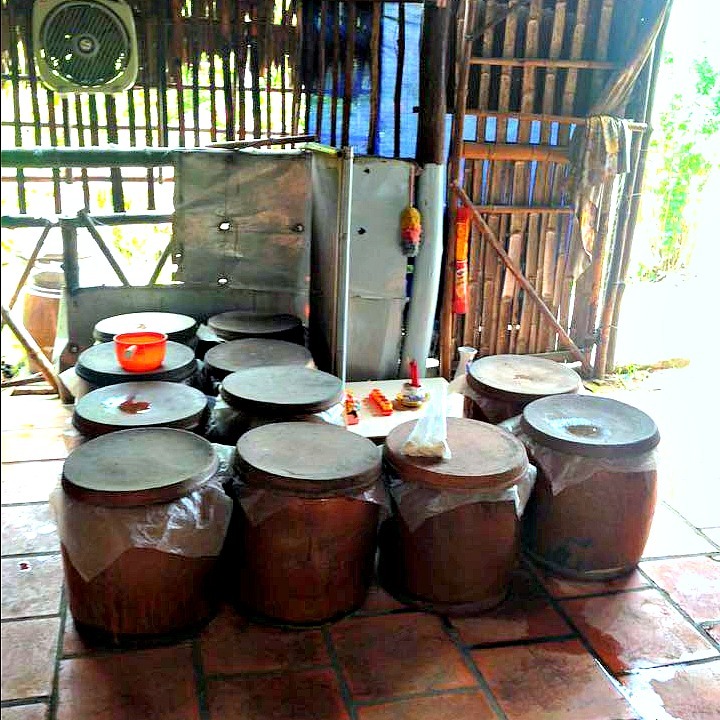 The containers in the picture contains coconuts and rice that's being fermented and will soon be a wine as a finish product. This is how they paddle in Mekong. That morning was very tiring. 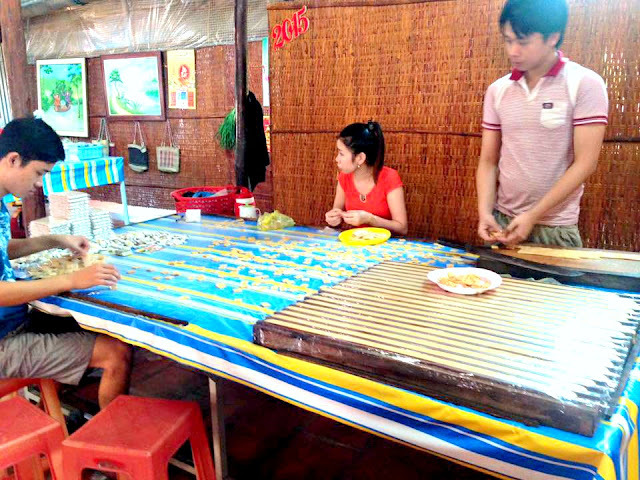 We get to see the life in Mekong and as well experienced and tasted some local Vietnamese goods. They also let us see how they make these goods. Some locals performing while we sample some of their most abundant fruits which are Durian, Jack fruit, and Langka. For us Asians living in a tropical country, these fruits are not big news but for some of the western people we met during the tour, these are something they tasted for the first time. After lunch time, we relaxed a bit in their hammocks. What I notice in most of the Vietnamese coffee shops, they always have hammocks beside the table. The chairs are facing outside and some don't even have tables and chairs! only hammocks. I came into a conclusion that maybe these set ups are for siestas and relaxation time. I was just impressed at how they make your little coffee experience a notch higher than your typical coffee shop. Straight ahead and you'll see the Benh Than Market. It was a long drive from the Mekong Delta back to the hotel but we had to freshen up to go to our next tour which is the water puppet show at Golden Dragon Water Puppet Theater. We also tried to ride their cyclo wherein the driver will paddle behind you. And even it was a bit tiring, it was all worth it as the water puppet show is really a-may-zinggg! Golden Dragon Water Puppet Theatre looks old and is a little bit small to accompany huge groups of viewers. The show have different schedules but we attended the 6:00 PM show. It used to be a tradition of the Vietnamese. 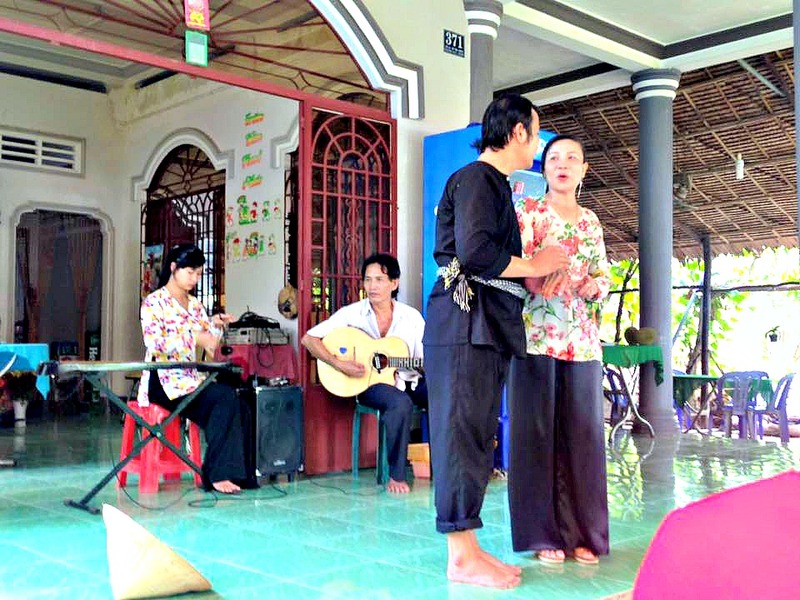 It consists of different shows portraying different topics about the life of a Vietnamese local. Here, you will get a glimpse of their daily life, their tradition and beliefs. The show is in Vietnamese so the only way for you to know the story is by watching and giving your full attention. I'm also impressed by the folks that's controlling the puppet as I thought it was being controlled by machines. But to my surprise, an actual person is controlling it from under the water! Day 1 is quite tiring and fun but wait until you see our city tour and our Cu Chi Tunnels experience. 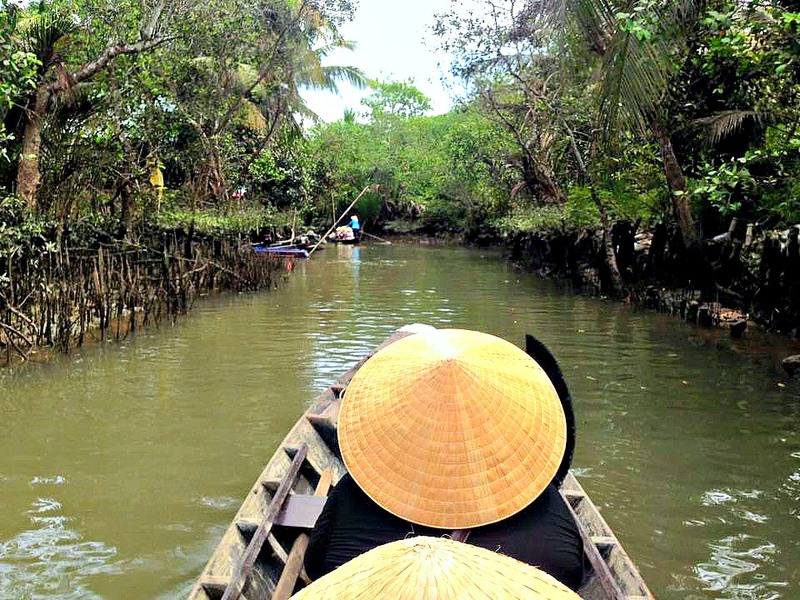 Truly, Vietnam is not your typical vacation as this is more of experience and learning their history. If you could do a little bit of research, Vietnam is still somehow recovering from the Vietnam war which has implanted a deep scar on its people. The locals are not yet fully recovered but I can say that they are doing very well as one of my tour guide said that they already forgave the Americans. Note: This blog post was first released last August 17, 2015 on my previous blog which is not published anymore. Beautiful Vietnam, I would love to learn their culture and history as well. Nothing compares to the fulfilling feeling when you travel and delve yourself to their culture and tradition. 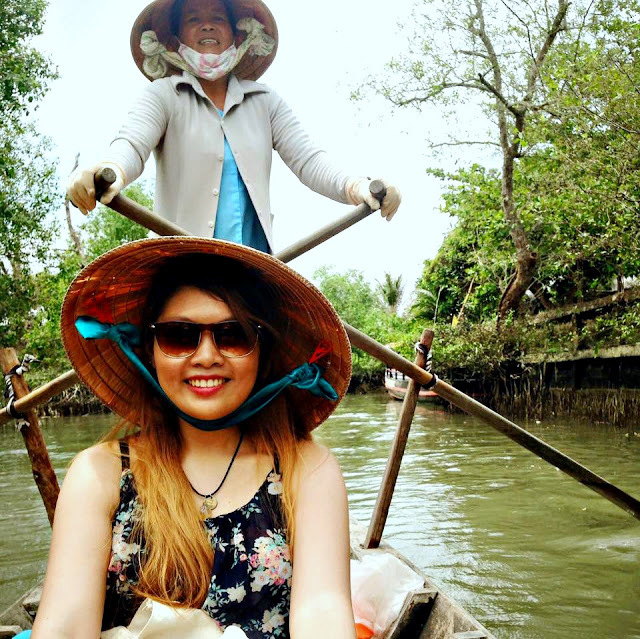 Truly, this is not a typical vacation one must have.I learn a lot about Vietnam with this blog post. I have heard from friends that Ho Chi Min city is more impressive than what people would expect. Those floating markets are great right? I always like watching westerners trying Durian for the first time, the faces they make are unforgettable. Don't you think? Yes it is very impressive! Especially their food! hehe. Bummer on losing all you HK photos! I recently booked my very first trip to Vietnam for May next year. Like you I'm also flying in to Ho Chi Minh and have limited time (6 days) so we will have to focus on staying close to Ho Chi Minh City. I definitely want to get out on the Mekong Delta. The taxi fare is so expensive for 10 minutes ride. Vietnam is not on my bucket list because I'm not sure if my son will like it. Yow know, kids like theme parks. Maybe if I'm still single, I will explore this country or maybe when my son is a little bit old. It's my first time hearing Mekong Delta. At first, I thought it will be like Thailand's floating market where you have to ride a boat and buy things. How did you get to the boat that sells fruits? Is their a ramp or something?